There are specific sets of photo requirements when it comes to visas. Visas are a gateway to get inside another country, and without meeting the proper requirements it is not possible to get a visa approved. Like other countries, Canada also has specific requirements to get a visa approved. Through this article, one would be able to understand the Canadian visa photo requirements. 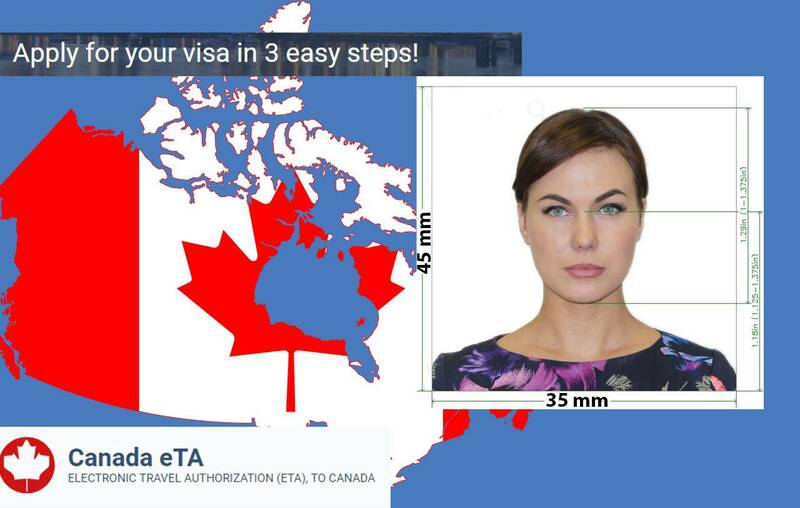 To get a visa approved, one must have the correct face expression and angle within the frame. The face of the applicant must be within the photo frame, equidistant from the borders. The universal frame for a visa photograph is 35mm x 45mm. Along with it, the face must show a neutral expression in front of the camera. Frowning, smiling, leaned or face with the mouth open won’t be accepted. The photo requirements for Canadian visa have strict rules about the time period, color and also the quality of the photograph. The photograph which has been clicked must be identical to the applicant’s face and should be clicked within the last 6 months. The photograph must either be in black and white or colored to fulfill the application requirements. One must also keep in mind that the background of the photograph must be plain. There shouldn’t be any object or design as the background. The background color must also be light in color – most preferably white. While applying for a visa, the rules and regulations make it very clear that there shouldn’t be any editing or medication to the photograph. One can choose to use Photoshop to make lighting adjustments, but except that, no editing or modification on the face would be allowed. Cropped photograph, unadjusted frames or unequal length and breadth are also rejected. The photo should look natural and unedited, so even if you edit, make sure you do it like an expert. If you are someone who wears glasses, make sure that you remove the glasses before getting a photograph clicked, because it hinders the quality. The reflection of the light that falls on spectacles makes the eyes unclear, thus, is not considered as a proper photograph for a Canadian visa. Even if one chooses not to remove their spectacles, wear non-tinted shades so that the eyes are visible. Applicants must also make sure not to wear sunglasses while clicking a photo since it would be rejected immediately. Though there are no rules against using cosmetics for Canadian visa photo requirements, one must make sure to apply it moderately. The purpose of a photograph is to know about your real face and identity, and if one applies an extreme amount of makeup leading to a complete disguise of the face, then it leads to security issues. This is not a beauty contest, nor is anyone going to judge you for your appearance, so try to be your true self in front of the camera. It is understandable that certain people wear headgears or cover their head due to cultural and religious significance. Facial features like eyes, nose, lips, and cheeks must be clear in the photograph.